Lewmar Blocks range in size from 30mm to 250mm and come in various forms including single and becket, triples, doubles, footblocks etc. Two types of block are available, one with roller bearings for rapid sheet trim and the other with plain bearings for high static loads. By using the latest materials and design technology developed in the racing arena, Lewmar has completely transformed the sailing experience. 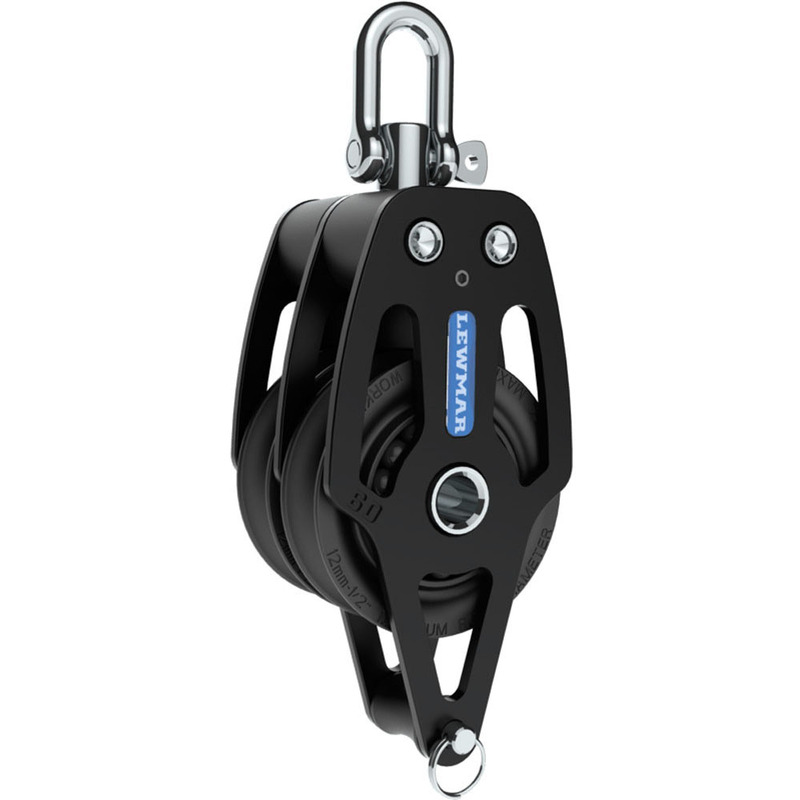 Each hardware component is designed to work in perfect harmony with rope action, placing sail control squarely in your fingertips. The result? Smooth yet powerful deck-to-sail movement that you can feel confident about.